Keep the summer sun shining with the Woolmans Cut Flower Bloom and Spray Collection! 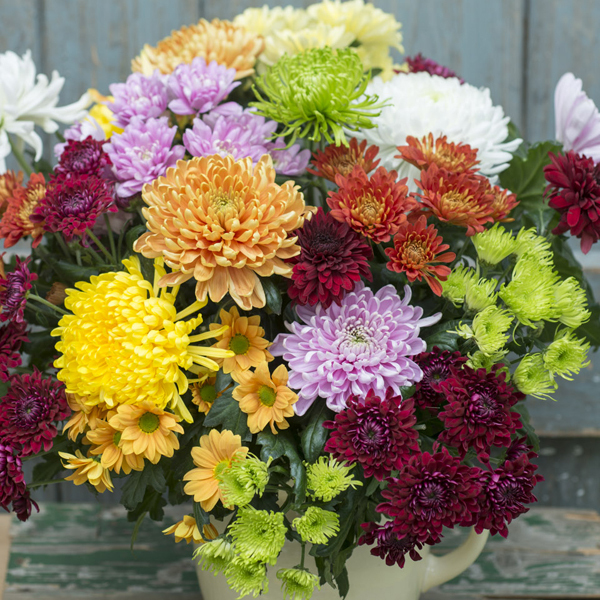 We’ve selected nine outstanding performers in a diverse mix of colours, types and flower forms that not only look sensational in a late Summer garden but, once cut, will last in the vase for up to 3 weeks. Whether grown in beds, borders or containers these plants will provide you with a wonderful late flush of garden colour and cut flowers from September onwards. 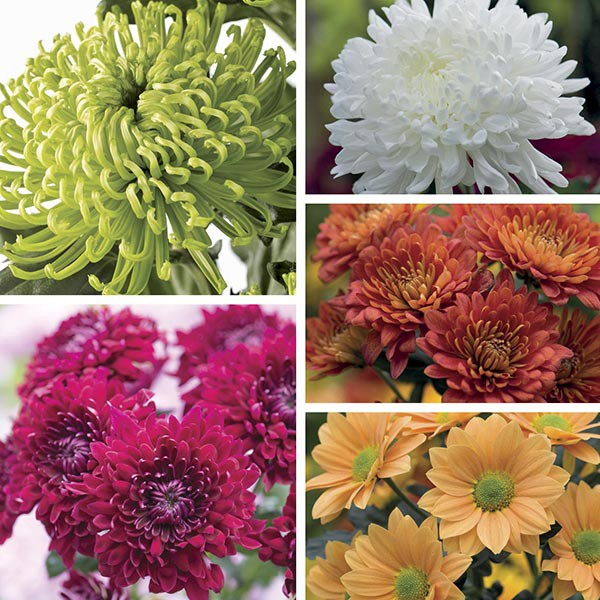 Collection includes one plant each of Migoli Yellow, Astro Bronze, Anastasia Green, Ja Dank, Allouise Pink, Regal Mist Red, Pompon Purple, Pompon Red Bronze and Danielle Bronze.